DRI Sleeper® Eclipse is a wireless alarm suitable for all ages. It is a two part system consisting of an alarm base with adjustable volume and the patented Urosensor™. 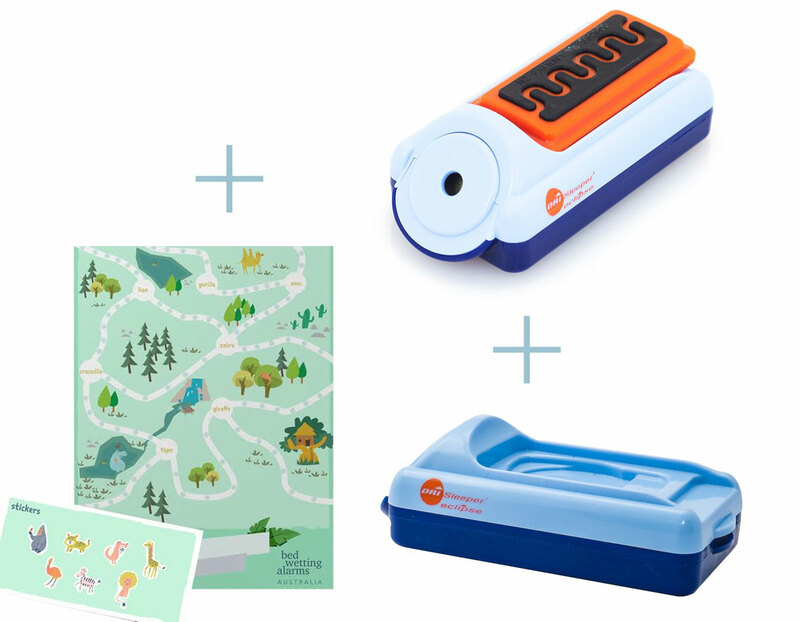 The DRI Sleeper® Eclipse Special Pack also includes a free activity set to track progress. This special package includes a complete DRI Sleeper® eclipse alarm with batteries and an additional extra DRI Sleeper® eclipse alarm unit. The extra alarm can be placed in the parents’ or caregivers’ room* to monitor the child’s bedwetting during the night. It will trigger at the same time as the alarm in the child’s room when the child wets the bed. The special Eclipse package offers a parental warning system at a 17.5% discount to the normal alarm base unit price.